Home / Books / BITE ME! GET INSPIRED. GET ORGANIZED. GET IN THE KNOW. BITE ME! is more than a book about nutrition. 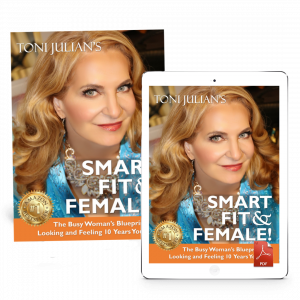 Toni shares her inspirational story of reinvention to a healthier lifestyle through proven techniques that you can use for life. Her program is based on incremental changes that are sustainable, rather than deprivational or fad diets. Toni shares her savvy insights to help you improve your body composition, manage your weight, balance your blood sugar, stave off disease and improve your energy! Get through challenging social pressures, and with over 50 recipes, learn easy food hacks to make healthy and delicious snacks and meals for you and your family. Ramona Gwargis, Times Media Inc.